"Who looks outside, dreams. Who looks inside awakens." "The subconscious mind manifests a wisdom years ahead of the conscious mind, and has its own way of leading us towards our destiny." "The conscious mind is the editor, and the unconscious mind is the writer." "It's possible that subconscious patterns of feeling and belief may be contributing to the disease you are suffering. To the extent that I can help you discover and alter such patterns through hypnotherapy, I can help you to accelerate the healing process, in conjunction with appropriate medical treatment." So much has happened since my last newsletter! For starters, we did indeed survive the end of the Mayan calendar on Solstice 2012. We are now well into the beginning of the next 26,000 year Mayan cycle. On Dec 28th, I officially retired after completing 38 years of corporate life. So January was a month of rest and relaxation, and most importantly, NO alarm clocks. In February and early March I attended a 5-week hypnotherapy certification training in Santa Rosa. The program was incredibly intense with morning lectures and afternoon practicums. I learned a great deal and also healed a great deal. Below is an article about hypnotherapy. I hope you enjoy! Two levels of consciousness that exist in the mind are the everyday awakened conscious mind, which is analytical, and the subconscious mind that is mostly unknown to our conscious mind. The subconscious stores emotional complexes, long-term memory, instinct, habits, physiological control mechanisms, and the Higher Self. Hypnosis is the vehicle that allows us to communicate directly with the subconscious. With all of the functions that are stored in the subconscious, we see how important it is to be able to communicate with it. A hypnotherapist uses various forms of induction to ease a client into a relaxed state where it is possible to communicate directly with the subconscious. The relaxed state a client is in during hypnosis is called a trance state. All of us are in this state when our minds are very focused on one thing. For example, when you are completely engrossed while watching a movie, you are in a hypnotic trance state. Shamanic journeying is a form of self-hypnosis, where the drum or rattle is used as the induction to trance. Hypnotherapy is hypnosis used with therapeutic objectives. I use a form of hypnotherapy that involves interactive trance work, where the client is able to communicate verbally and will remember everything experienced after returning to the normal state of consciousness. The form of hypnotherapy I am trained in is called Alchemical Hypnotherapy. It was developed by David Quigley. Alchemical Hypnotherapy differs from other forms of hypnotherapy in two basic ways: 1) its purpose is to discover the root cause of trauma, addictions, phobias, or disease, and 2) it can transform these root causes through emotional release, creation of inner guides, and the rescripting of past memories. Alchemical Hypnotherapy is a synthesis of techniques from many modern schools of transpersonal hypnotherapy and psychology including Gestalt, Regression Therapy, Neuro-Linguistic Programming (NLP), Psychosynthesis, shamanism, and alchemy (as channeled to the modern world by Carl Jung). Alchemical hypnotherapy allows the client to identify the core cause/memory in the subconscious and work to reframe it to how s/he wants it to be. The client does not forget the original memory but there is now an alternative memory stored in the brain to counteract the negative one. A metaphor to illustrate this process is the following: A Traumatic Event occurs in a current life or a past life. 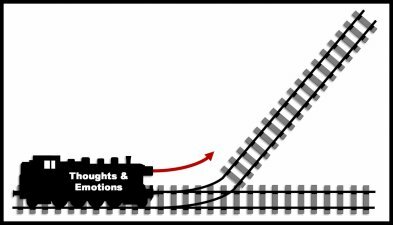 The subconscious, the place where long term memory is stored, stores the memory of this Traumatic Event as a train track. Each time a subsequent event triggers this memory, a train carrying thoughts and emotions, travels down the same track. Each time the track is traveled it becomes more deeply embedded in the mind. Beliefs are then created from this memory track. If this happens then that happens. Through hypnotherapy, a switch can be installed on the original track. A new track is built by creating a new memory that has a positive outcome to the Traumatic Event. (Often called rescripting or reframing.) The thoughts and emotions associated with the new track foster self-love, self-esteem, and self-empowerment. The old track always remains but the train now travels down the new track. Beliefs can not be reframed to if this happens, then that where "that" is a much more positive outcome. In addition to building the new track, the hypnotherapist assists the conductor of the train to find an assistant who is capable of nurturing, mentoring, or supporting him/her. What Techniques are used in Alchemical Hypnotherapy? 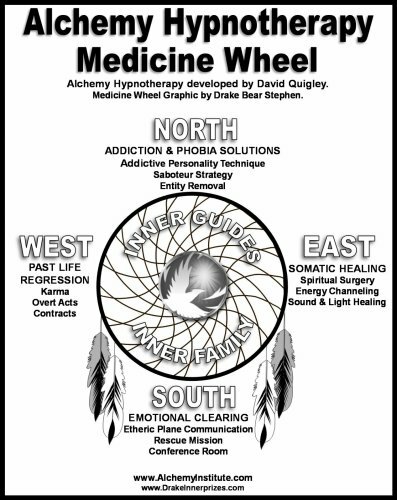 I have created a medicine wheel diagram of the major components of Alchemical Hypnotherapy. An Etheric Plane Communication is a way to communicate with others (either incarnated or those who have passed) without the need for face-to-face confrontation. The Etheric Plane is the energetic space where all beings are connected through emotion and subconscious images. The second area of focus is Past Life Regression. Past life memories can be accessed to enhance creative abilities, resolve trauma, change karma, alter contracts with significant others, and examine our life purpose within the pre-conception contract. The third area of focus is Addictions and Phobias. Sheer will power alone is not strong enough to control addictions and overcome phobias. Hypnotherapy does not treat addictions and phobias however it does identify the core cause of the addiction or phobia. Discovering the core cause can then be altered as shown in the example of the train track above. Hypnotic Movement – the body moves in its own unique way to unwind physical traumas. This body movement is done without conscious control and releases old traumas which have become energetic blocks that are stored in the body. Energy Healing – while hypnotized the client discovers the colors of a pain in the body and moves that color out of the body through exit points. A new healing color is then channeled into the injured or diseased area. Spiritual Surgery – during hypnosis the client discovers a powerful inner healer who can perform spiritual surgery on the body to remove tumors, repair bones, muscles and internal organs. How Does Hypnotherapy Work with Shamanic Energy Medicine? In my practice I am combining shamanic energy medicine with hypnotherapy in order to provide a whole-istic approach to life management. The combination of shamanism, which focuses on spiritual healing, with hypnotherapy, which focuses on body, mind, and emotional healing creates a modality that addresses all aspects of the human soul. Shamanic energy medicine adds energy body healing, spiritual clearing, energetic and entity extraction, soul retrieval, and soul flight to the list of healing techniques described above to create an incredibly comprehensive list of healing solutions for your body and soul. For more information about shamanic energy medicine, refer to my article in my previous newsletter, available at www.mynewsletterbuilder.com/email/newsletter/1411426518. Note: This whole-istic healing approach is not meant to replace Western medicine, but to enhance what Western medicine can do for us. Why Make a Hypnotherapy Appointment? If you feel you have been doing your affirmations but are yet unsuccessful with manifesting what you want in life, there is a core cause that is preventing you from doing it. That cause must be discovered and cleared. The core cause could be from: 1) a contract made in a past life, 2) a pre-birth contract designed to clear some karma, or 3) an unconscious desire for self-sabotage due to feelings of unworthiness. The latter is always associated with a Traumatic Event that happened earlier in life or in a past life. Hypnotherapy can assist you in not only finding the core cause but help you to change and facilitate a shift in the energetic path you are currently traveling. Additional excellent articles about Alchemical Hypnotherapy can be found at www.alchemyinstitute.com/articles.htm. 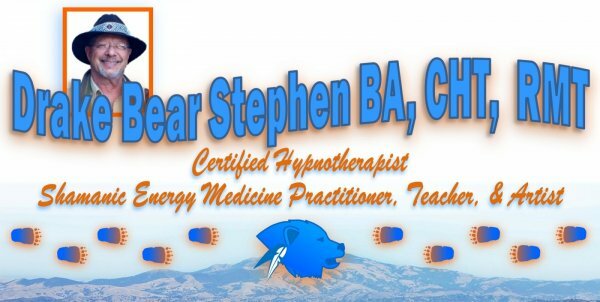 For a limited time, I am offering hypnotherapy sessions at 50% off, which is $50. A full shamanic energy medicine session that includes hypnotherapy is $100 per session. Sessions usually last 1.5 to 2 hours. All new clients receive a free consultation before the appointment is scheduled. Some issues can be completed in one session but many are completed in a series of sessions. If you are interested in experiencing a session contact me to schedule an appointment. Reiki classes for levels 1, 2, and 3 will also be forming soon so if you are interested in taking this powerful form of energy healing, please reserve a spot now. Further information is available at www.drakeinnerprizes.com/MedWheel/classes.htm. I am currently developing a few workshops about hypnotherapy and self-hypnosis, so stay tuned for more!